Plus, a new report on the Chinese navy, the “little red app,” and cross-strait relations. Friday China links. Chinese citizens are suing the Ministry of Agriculture over concerns about its approval of Roundup, a weedkiller manufactured by U.S. firm Monsanto, for sale in Chinese markets 27 years ago. Reuters has the story. With a recent World Health Organization report saying an ingredient in Roundup could cause cancer in humans, three Chinese citizens are demanding more transparency from the Ministry of Agriculture. Specifically, they want the ministry to publicly release the data that formed the basis for its approval of Roundup. The case (which has already been accepted by a Beijing court) marks an important test for the rule of law in China. Generally, court cases seeking government transparency don’t make it very far. See Susan Finder’s 2014 piece for The Diplomat for more details on how China decides which information is subject to public release and what is a “state secret” – and how hard it is to challenge those distinctions in court. 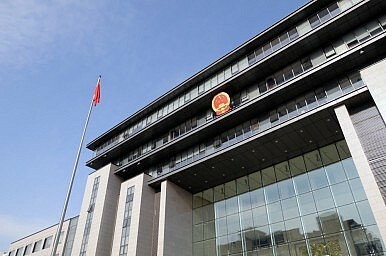 In other news, the State Council Taiwan Affairs Office, the government body responsible for Beijing’s relationship with Taiwan, has again stressed that Taiwanese politicians must uphold the “one China” principle if they want to have exchanges with Beijing. Taiwan’s opposition Democratic Progressive Party (DPP), considered the favorite to win the presidency in 2016’s elections, has yet to embrace the “1992 consensus” that acknowledges both the mainland and Taiwan are part of one China. A TAO spokesman on Wednesday said exchanges with the DPP would be “impossible” if the DPP still flirts with the idea of Taiwanese independence. For more on the perspective in Taiwan, check out our recent podcast featuring Diplomat contributor and Taiwan expert J. Michael Cole. The U.S. Office of Naval Intelligence has released its first unclassified report since 2009 on China’s naval forces (including the PLA Navy as well as the Chinese Coast Guard). Andrew Erickson, a U.S. Naval War College professor specializing on Chinese maritime studies, summarizes the findings for War on the Rocks. One of the biggest takeaways: China’s maritime forces are improving rapidly in terms of both quantity and quality, although the PLAN is focusing more on the latter, while the Coast Guard is adding new hulls at an astonishing rate. In addition to making China more capable of patrolling (and enforcing its claims over) its near seas, the ONI also expects China to increasingly take on missions abroad – such as the historic evacuation of Chinese and foreign citizens alike from Yemen. But the U.S. shouldn’t be too worried, according to a recent commentary by Fairfax Media’s John Garnaut. Writing for The Age, Garnaut argues that the U.S. is “winning hands down” in the competition with China for regional influence – and that’s despite a distracted Obama administration. The U.S. is benefiting from China’s missteps. “The harder they [Chinese leaders] push, the harder their neighbors push back, and the more attractive American power becomes,” Garnaut writes. Finally, on the lighter side, Charlie Custer of Tech in Asia looks at a new iPhone app containing the complete works of Xi Jinping. Already dubbed the “little red app,” it’s one of the top five educational apps downloaded in China – but many readers, based on their reviews, are quite tongue-in-cheek in their approach to Xi’s wisdom. For China, How Much Will the Outcome of the US Mid-Term Elections Matter?Time to Counter China and Rebuild the US Navy? Xi Jinping as Mao’s Heir? Smashing Chinese Family DominanceChina Versus the LawyersWho Opposes China's Reforms?